Instead of simply improving gas-electric tech, the answer may lie in plugs. Starting with the fifth-generation models, Toyota might do away with standard hybridtechnology altogether in the Prius line-up. Instead, Toyota is considering making every future Prius a plug-in hybrid. The logic comes down to, if you want to push the envelope, you sometimes have to redefine what the envelope is. Shoichi Kaneko, assistant chief engineer for the Prius Prime, toldAutoblogGreen that creating the next-generation Prius will be a tremendously difficult challenge. Because Toyota wants to lead the way in reducing (and eventually eliminating) fossil fuels from its vehicles, simply making a better standard hybrid powertrain might not be enough. “Ultimately, PHEV may be the way to go,” Kaneko said through an interpreter. Kaneko’s comments mirror those we’ve heard from Toyota before. Back in 2013, Toyota Motor Corporation’s managing officer Satoshi Ogiso said that, “To beat your own record becomes very difficult,” when taking about improving the Prius’ fuel economy for each successive generation. 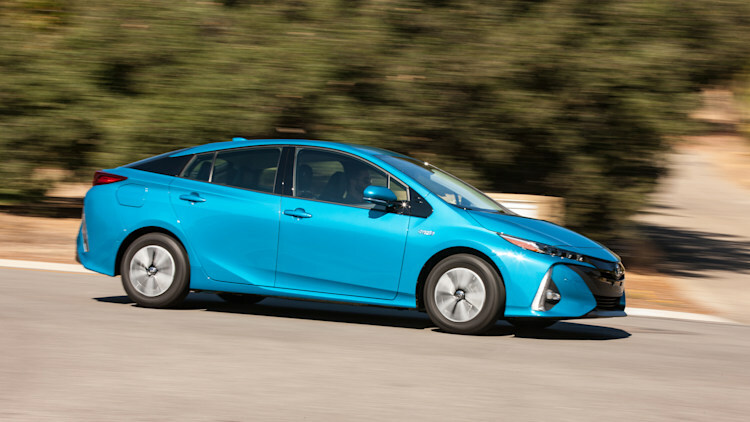 Toyota needed to make many little improvements to get the fourth-gen Prius to the fuel economy levels it has – currently, the most efficient Prius is the Eco trim line, which gets 56 combined, 58 city, and 53 highway MPG – and so to push the fifth-gen to, say, 60 mpg is incredibly hard. Putting a plug on every Prius would move the brand forward, keep it relevant, and meet the company’s objectives. Which brings us to the all-new Prius Prime plug-in hybrid. Kaneko said that Toyota poured a lot of resources into making the Prime the best Prius that it could be. While the company is confident that the new car will be a success, there’s a lot riding on its new double wish-bone rear suspension. If the Prime struggles, Kaneko said, then Toyota might have to reconsider its whole PHEV strategy.